Thank you to all that joined us for the Training Institute in 2016 and 2017. We will not be offering a Training Institute in 2018, but stay tuned for future opportunities! 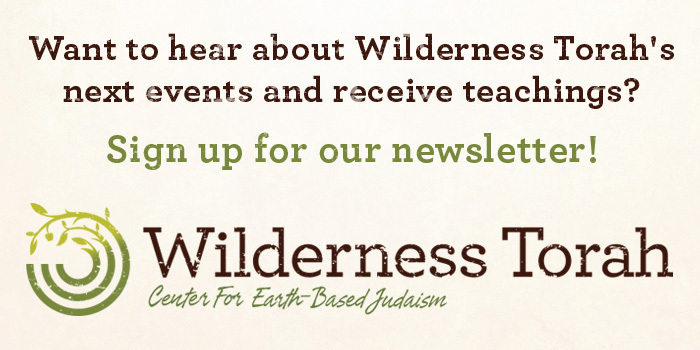 For ten years, Wilderness Torah has been creating deep nature-connection experiences, joyful earth-based Jewish celebrations, powerful youth-mentoring programs, and community-building events. Wilderness Torah has been named one of Slingshot’s most innovative Jewish nonprofits five years in a row, and our B’naiture teen mentoring program won prestigious regional and national Jewish education awards in 2016. We established our Training Institute to educate and empower others to do this work. In 2018 we will not be offering a training event but we are continuing to offer consulting and resources. Stay tuned for future training opportunities. If you are interested in learning more, please contact the training manager. For a first-hand account of the Institute, read the eJewish Philanthropy article Wilderness Torah Opens Pathway for Jewish Educators by Judith Schiller. “Wilderness Torah is one of the most genuinely innovative Jewish educational settings currently operating in the USA. With a fully articulated educational and community-building philosophy, WT has the proven ability to raise up a new generation of Jewish leaders — young Jewish adults who are excited about Judaism, and know that it provides a cultural context that supports human flourishing to an unusual degree.